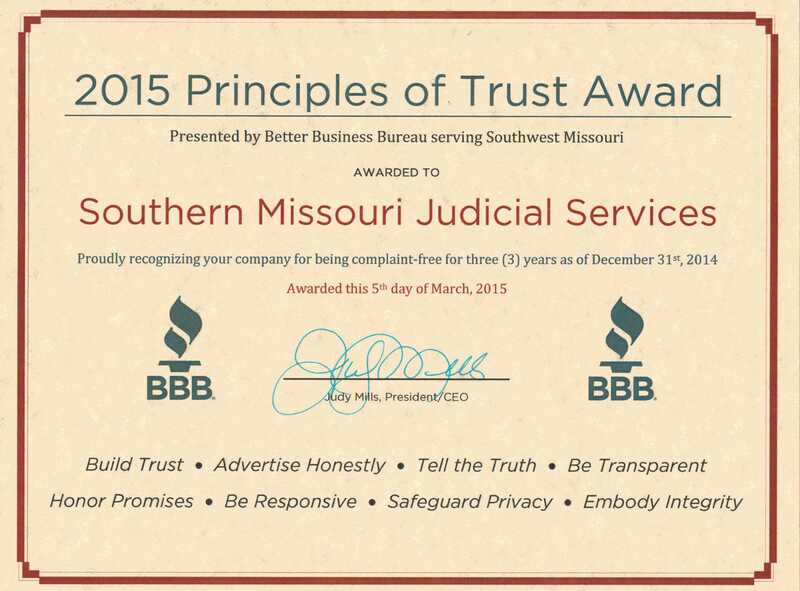 In 2008 CEO/Founder Tim Brenner started Southern Missouri Judicial Services to better serve a market where he recognized a need. Starting as a Bail Bond / Private Investigation company SMOJS that would specialize in high-risk assignments would help fill this need. Having 18 years of full-time law enforcement experience that included assignments in patrol, undercover, swat, investigations, narcotics, corrections, administration and K-9, Brenner recognized a need for a higher level of professionalism in private markets. He was ready to give the Private Market a try while maintaining his POST certification as a law enforcement officer. With only hiring applicants with experience, clean appearance, clear backgrounds, and pay them a higher wage from what competitors would pay making SMOJS success, Brenner started building his team. This team traveled all over the US returning over 300 Felons back into custody to face the judicial system once again. Then, Brenner maintained surveillance on houses for hours to serve process papers that other companies couldn’t serve and find people who didn’t want to be located. In 2009 Brenner started offering Private Investigation services in surveillance using skills he gained through training as an undercover investigator for the drug task force to properly document cases that would hold up in court. He also invested in GPS and Alcohol Monitoring equipment, installed them on court-ordered offenders, started offering private probation, breath interlock, drug testing and began fingerprinting for Missouri Highway Patrol. As the business began to grow, Brenner invested in classrooms and started offering POST Certified classes to Law Enforcement. He became an instructor for the Missouri Department of Insurance and offered Bail Bond classes to an out of control market fueled by reality television. 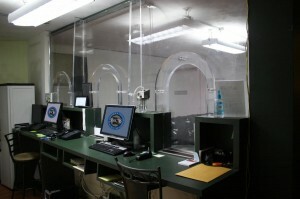 Brenner wanted to teach the bail bond industry professional standards on how to safely and legally do their jobs without further damaging the industries reputation. To perform a security task where a local company had a high theft rate of $15,000 from overnight break-ins, Brenner and his team caught the burglars in under a week, and started offering security / protection branch. He then purchased equipment to provide protection to some of Springfield’s most Elite by offering family, business, amusement parks, sporting events, neighborhood patrols, K-9’s services, and Government contract protection with Law Enforcement Certified Officers. In 2010 Brenner invested in a fleet of vehicles to double in security patrols and inmate extradition transporting prisoners coast to coast safely returning in-custody prisoners to law enforcement agencies in days, not weeks like his competitors. 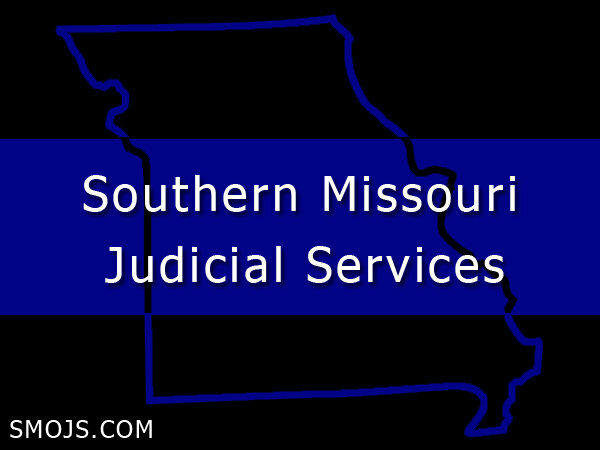 Southern Missouri Judicial Services (SMOJS) found its current home at 1111 N. Boonville. 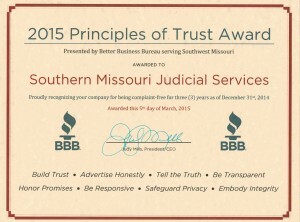 From starting in Brenner’s home to moving into a 500 square foot office on Republic road and into the back office of a bail bond company on Boonville, SMOJS was born. The current location in the 1100 block of Boonville seemed fitting with Government offices surrounding the building including the new 911 Center, Springfield Public Schools Police, Greene Counties; Records, Court house, Judicial Building, City of Springfield Offices, City Utilities Offices, Juvenile Detention facility, Sheriff’s Department and Jail all in short walking distance of the front door. 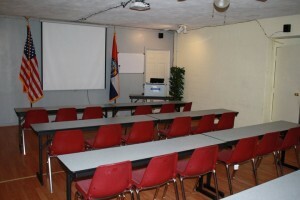 Brenner conducted a complete remodel of the building including a bulletproof lobby, classrooms, kitchen, training rooms and K-9 training facility. The 1950’s building needed a facelift, Brenner designed it to match the other buildings located in its government district. The interior, windows, flooring, security, roof, parking and HVAC systems needed replaced and was done out of the SMOJS operating budget. Brenner prides this accomplishment taking the business to a new level and making his mark in the downtown district of Springfield, Missouri. The SMOJS vehicles became equipped with mobile data computers that would allow agents to run license plates, receive assignments, retrieve data and do reports from the vehicle saving valuable time. By 2011 SMOJS purchased a 900 mhz trunked radio system allowing communications from Coffeyville, Kansas to Rolla, Missouri through a system of repeater towers. The system would reach from Harrison, Arkansas to Nevada, Missouri giving the team safety along with the ability to use emergency buttons to silently call for help while tracking them by GPS in some areas that cellphones would not cover. Agents can communicate even though they are hundreds of miles apart making SMOJS the leader in protection and surveillance operations. Then Brenner started the K-9 Unit now consisting of 8 Specialized K-9’s that can preform Explosive, Arson, Narcotics, Firearms and Bedbug Detection. 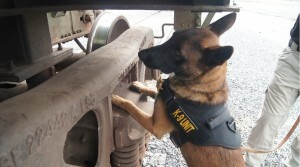 SMOJS Nationally Certified Explosive Detection K-9, trained in the most current based explosives on-call servicing southwest, Missouri. The unit contracts with Government & Schools that find it more cost effective to use SMOJS. 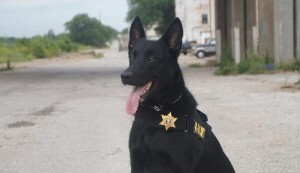 Average cost for a department to maintain a K-9 unit is $11,000 per dog team, per year without complications. Dynamic Fire Investigations was formed, a team of Certified Fire Investigators who previously worked in the Public Sector working 100’s of fire scenes. Brenner equipped the team with a Nationally Certified Accelerant K-9, one of the only working in the State of Missouri to aid in the collection of evidence. The team holds investigator licenses in Missouri, Kansas and Arkansas. Team specializes in Origin & Cause, building construction and product fail claims. 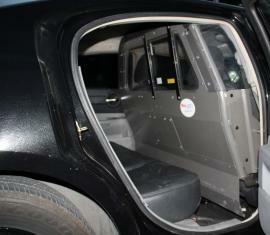 K-9 Unit is available to the Public Sector and is on-call. In 2012 SMOJS became Accredited and continues to maintain Accreditation. Also, SMOJS became the official vendor from the State Courts Administrators Office as well as the State of Missouri and Federal Government. Then Brenner invested in a Drone that is guided by GPS to aid in investigations, safety and photography. His way of making SMOJS on the leading edge of technology. By 2013 Brenner invested in breath alcohol units after reviewing complaints on ankle worn alcohol units and to exceed the standard keeping up with the latest technology in offender monitoring. Probation Agents now have realtime results including GPS location, test results and photo ID. 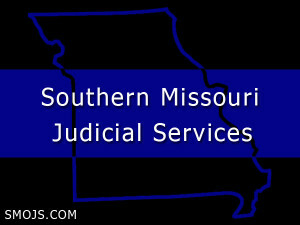 Now SMOJS provides equipment servicing for Missouri State Probation & Parole and Sheriff’s Departments across the state. SMOJS has a 11,000 sq. ft. building that now houses their offices and training center. Brenner’s team consist of professionals who are able to handle any assignment and pride themselves on that. His staff will testify in a court of law to their findings, and have prepared cases for State and Federal Courts. Brenner started SMOJS, a company that is ahead of its time, is happy to share his staff’s credentials and will provide CV’s on request to qualified clients and judicial circuits. Today the company is actively involved in areas Chamber of Commerce, Civic Groups, and Professional Organizations. Brenner speaks regularly to civic groups and his K-9 Units give demonstrations of their capabilities. 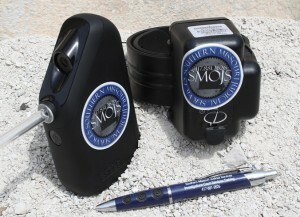 SMOJS is fully Licensed with; ATF, North American Police Work Dog Association, Missouri Board of Police Officers Standardized Training, State of Missouri Board of Private Investigators, Missouri Board of Private Fire Investigators, Missouri Department of Insurance, Kansas Board of Private Investigators, Arkansas State Police and Private Investigators. SMOJS Clients are Insurance Companies, Government, Industries, Businesses, and Private Citizens. 1.pertaining to or characterized by energy or effective action; vigorously active or forceful; energetic: the dynamic president of the firm. 2.Physics. a.of or pertaining to force or power. b.of or pertaining to force related to motion. 3.pertaining to the science of dynamics. SMOJS original logo was the state of Missouri showing the area we cover along with “The Thin Blue Line” that shows our employees involvement, respect, dedication and support of Law Enforcement. SMOJS makes donations to help law enforcement with fund raisers such as the Greene Counties DARE Program. The second logo incorporates a buzz saw showing the companies roots to the Ozarks and displays a cutting edge representing the company mission. The colors support Law Enforcement, with subdued center colors displaying our tactical ability as a company that we are known for. This is the official seal that brands the name SMOJS. Our tactical logo that shows support for our protection staff with our K-9 unit that specializes in investigations involving fires and explosions. The tactical logo is worn by both protection agents and investigators. The top of the logo supports our eight K-9 Teams. The body of the logo comes from the military ordinance logo that has represented bomb technicians with a flame in the middle representing our fire investigations unit. SMOJS employs a certified bomb tech and K-9 Team. 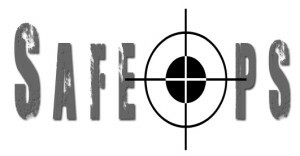 In 2015 we introduced our 501 3c public non-profit called Safe Ops. The goal of Safe Ops is to better train CCW Permit Holders. Money donated to Safe Ops help provide service and training to Law Enforcement Agencies who would otherwise not be able to afford the specialized training and services.